Day two of our Halloween recommendations is a strong offering from Rob Blackwell, and it’s loaded with all kinds of promise. While I haven’t personally read this one, it’s been met with great fan reception and sounds like a truly wicked novel that could be a highly successful launch point for the The Sanheim Chronicles series (of which a few books have now been released). 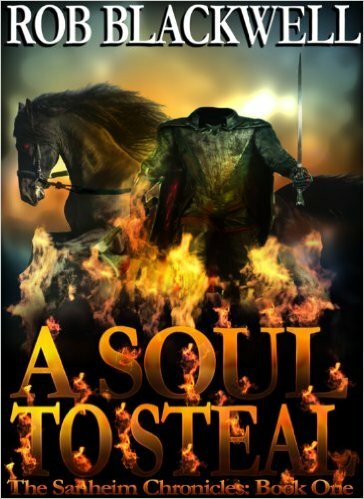 If you’re into Halloween, and you’re into serial killer tales, you’re going to want to jump into A Soul to Steal ASAP! How far would you go to catch a serial killer? For two local reporters, the cost may be their souls. Lord Halloween, a vicious murderer who targeted Loudoun County, Va., twelve years ago, has returned. Quinn and Kate, two community journalists, race to uncover his identity before a promised bloodbath on Halloween. But to stop him, they may unleash a far darker threat–and pay an unimaginable price.